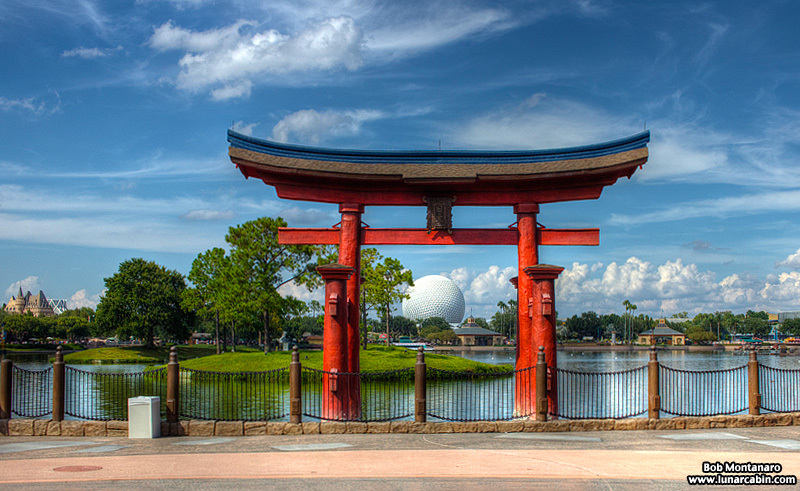 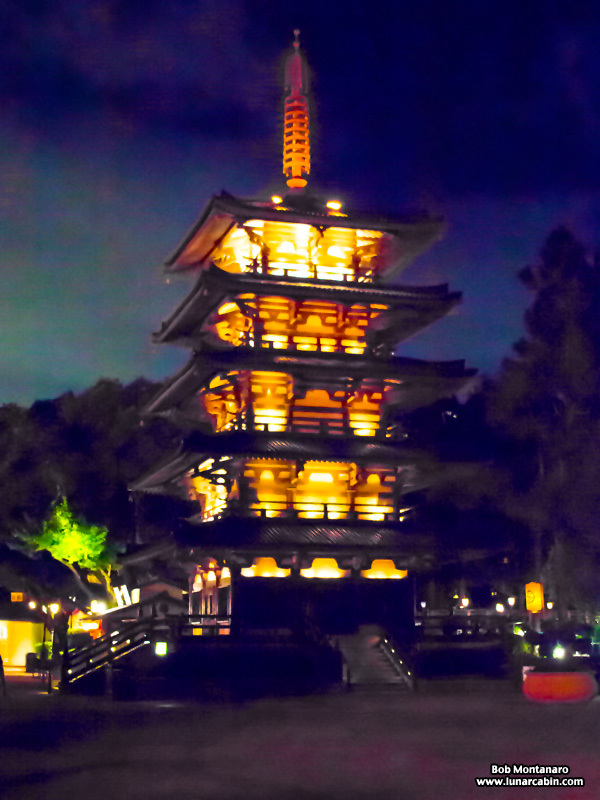 With apologies to The Vapors, a visit to the Japan Pavilion at Disney World’s EPCOT World Showcase. 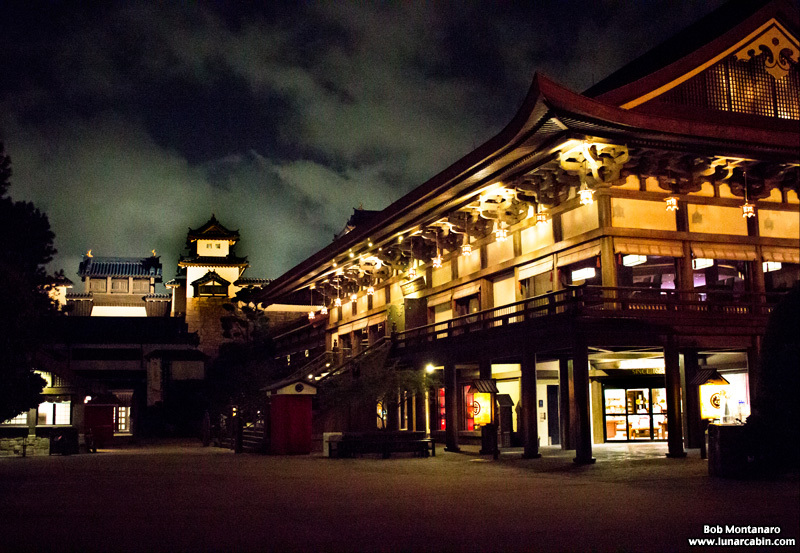 A replica of the famous red gate, or Torii in Japanese, leading to the Itsukushima Shinto Shrine. 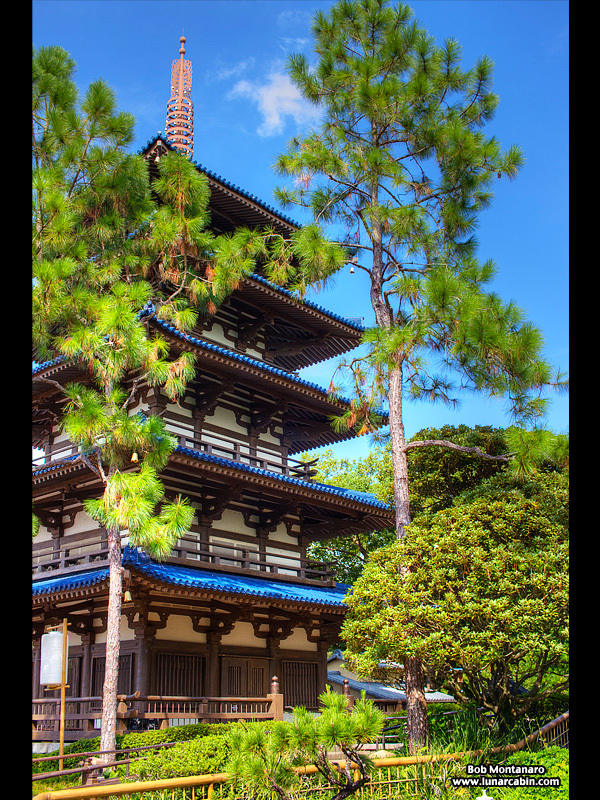 According to the official tourism site for the island of Miyajima where the Shrine stands, the Torii is the “. 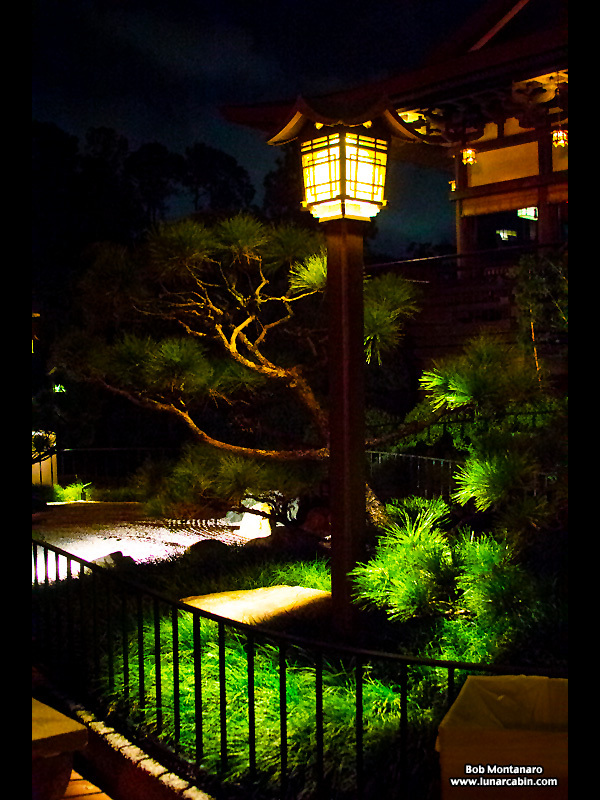 . . boundary between the spirit and the human worlds.” The red coloration is meant to ward off evil spirits. 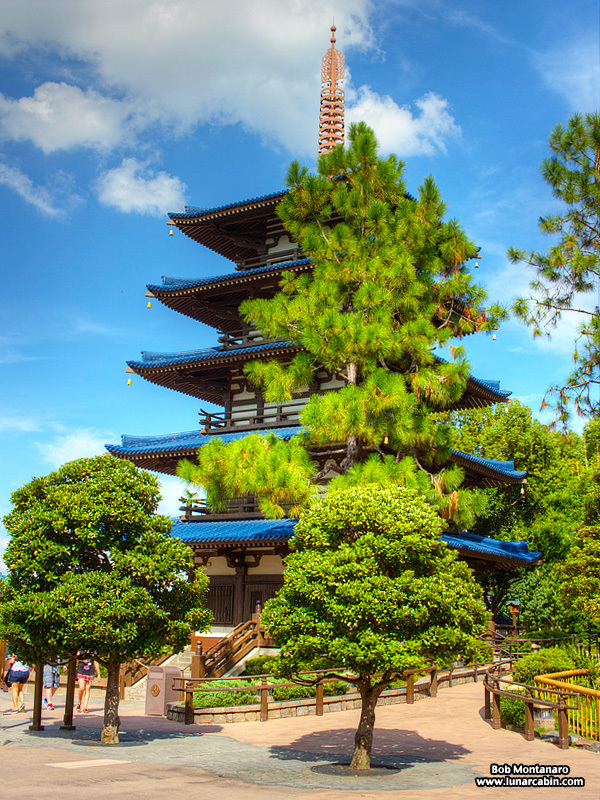 A replica of the pagoda at the Buddhist Temple in Nara, Japan. 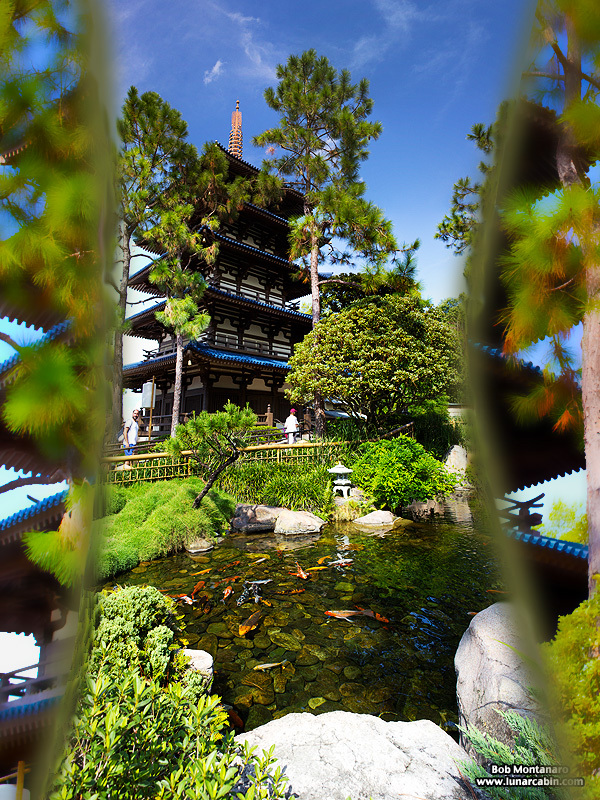 Panorama of the pagoda with koi pond. 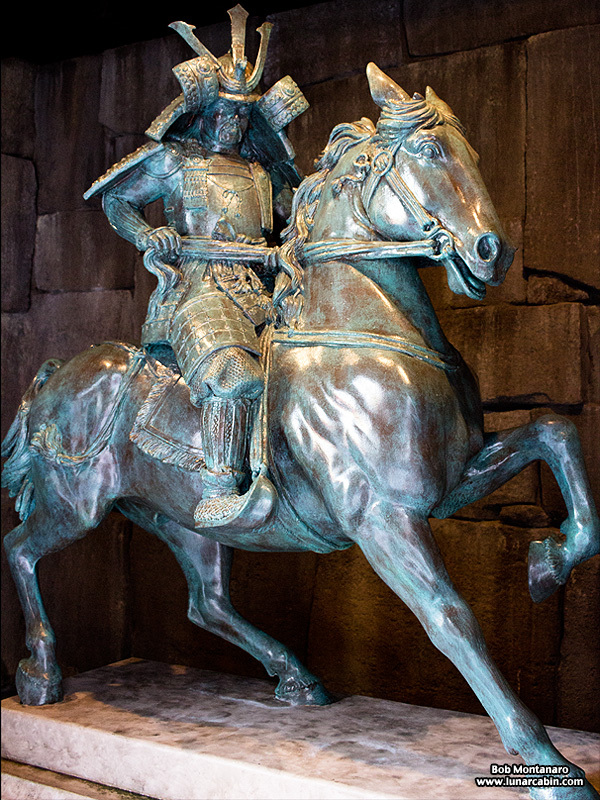 One of the matching pair of Samurai warriors on horseback that flank the entrance to the Japanese castle that houses the large L-shaped Japanese department store. 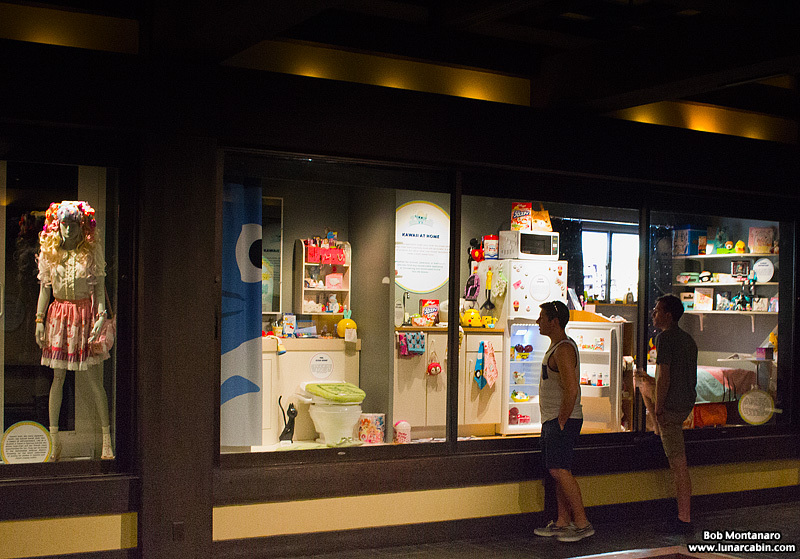 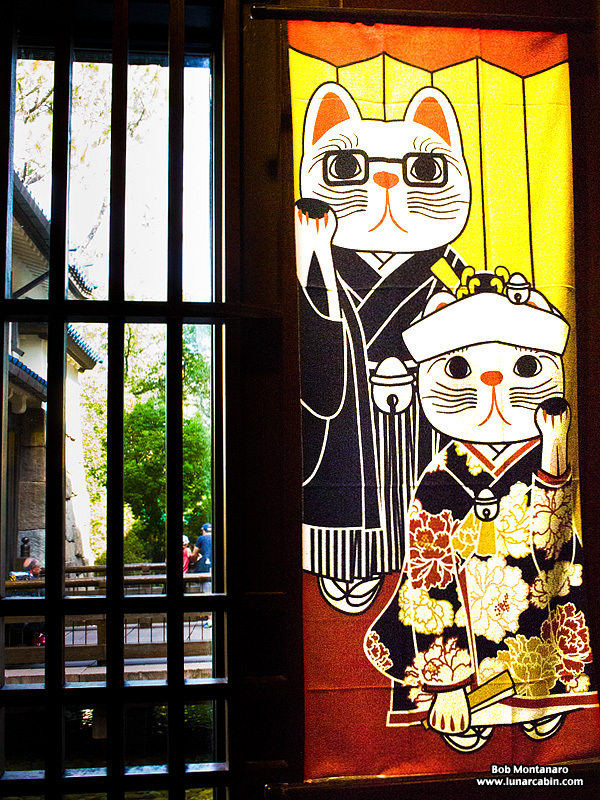 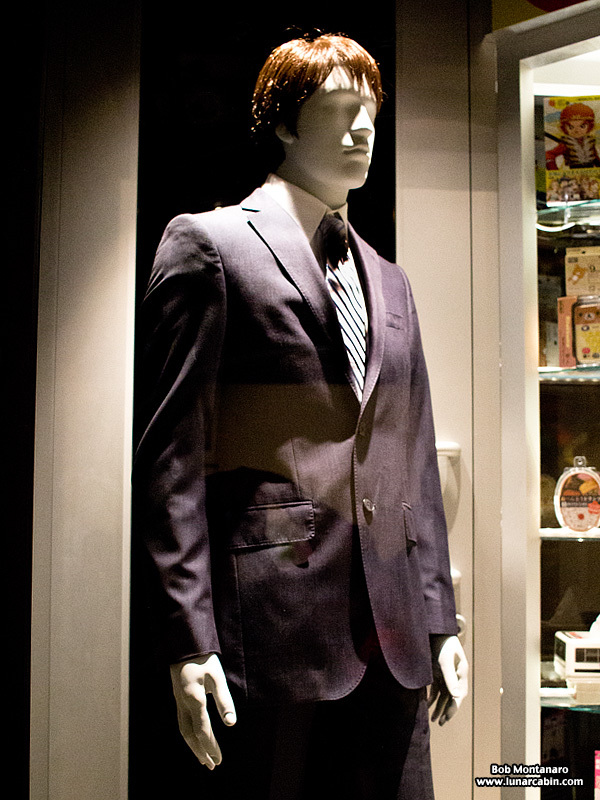 Besides the department store, there is a small museum currently featuring numerous examples of “kawaii” culture, which is, according to the dictionary, items deemed cute by Japanese culture. 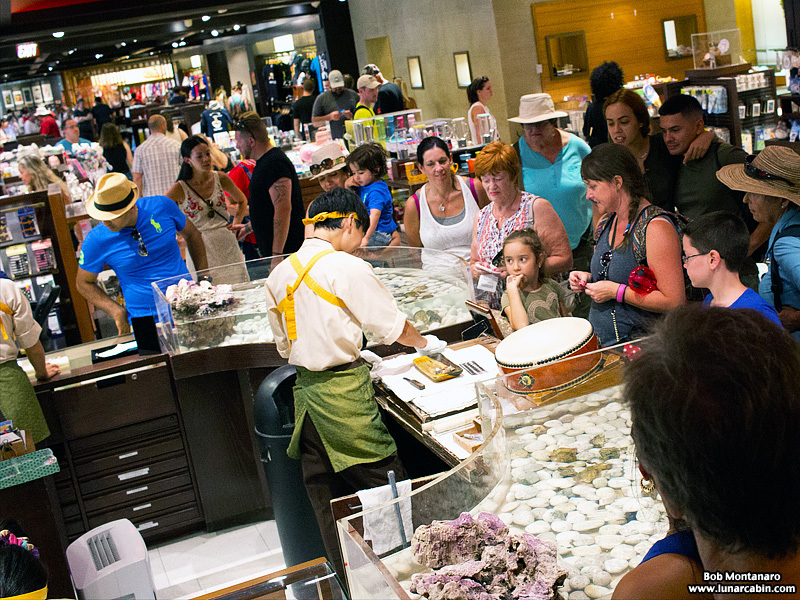 A demonstration of how pearls are found in clams draws a crowd.